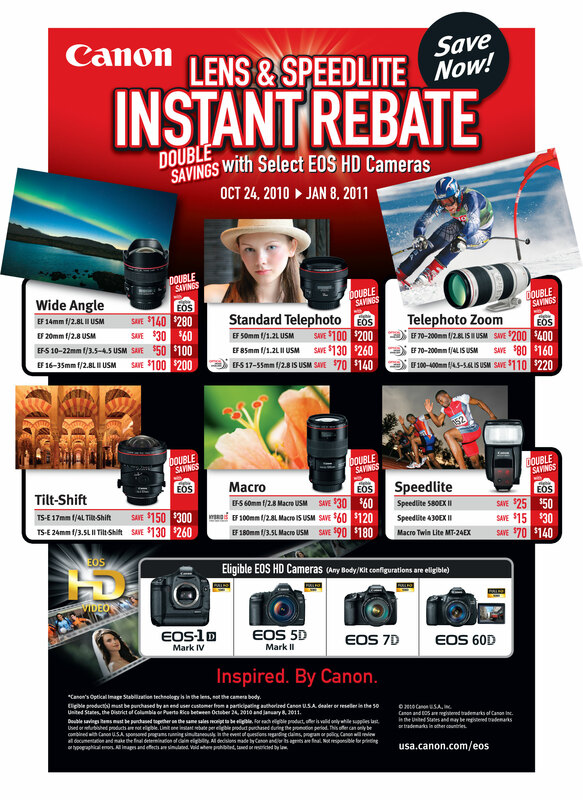 Please use this page to get the Current Canon Camera and Lens Rebates. 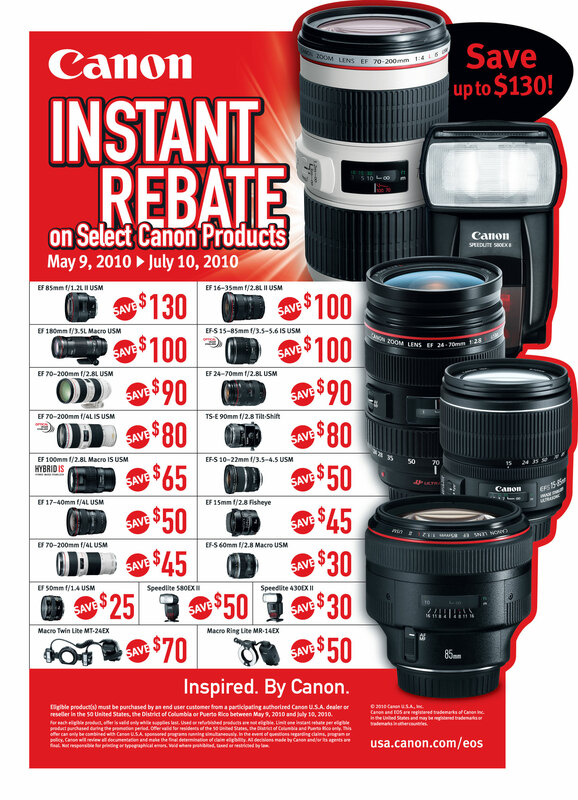 Listed below are most of the Canon USA Camera, Lens and Flash Rebates programs from 2005 into 2012 (some limited promotional rebates are omitted). This page was originally created as a warning about the rebate center processing Canon lens rebates. To understate, they were highly untrustworthy. 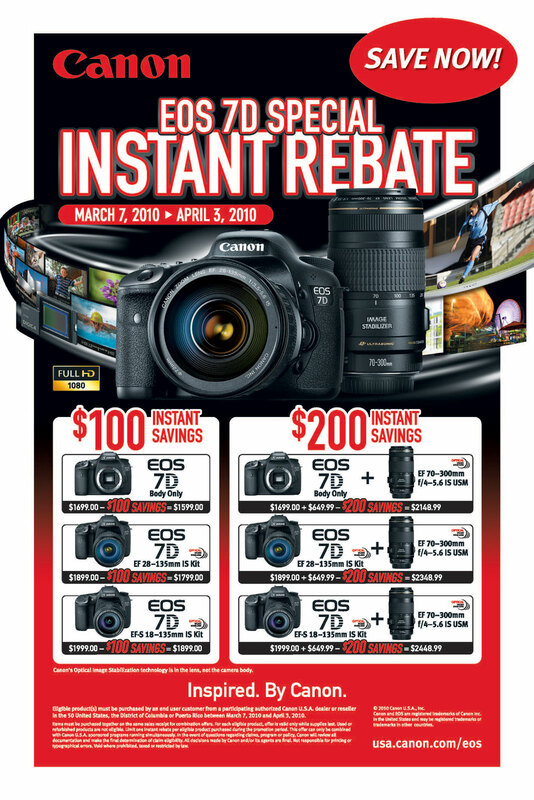 Canon USA has primarily moved to instant rebates and, with the rebate center out of the picture, there is no longer a warning needed. 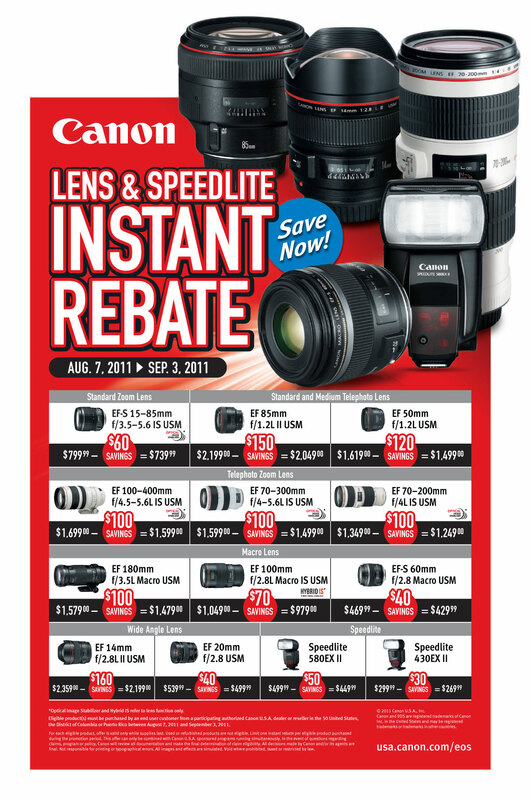 I've transformed this page to an archive for the typically semi-annual Canon lens rebate promotions. 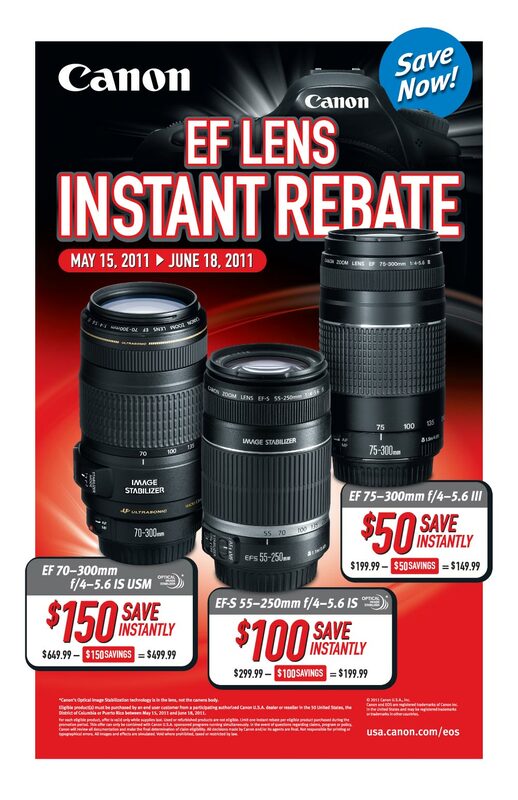 They seductively show up twice each year - the Canon Lens Rebates. And this time the Canon lens of your yearning is listed. You have been on the edge - trying to decide if you should buy that lens or not. Now it is a no-brainer. Another $40 off makes the decision easy. Or does it? 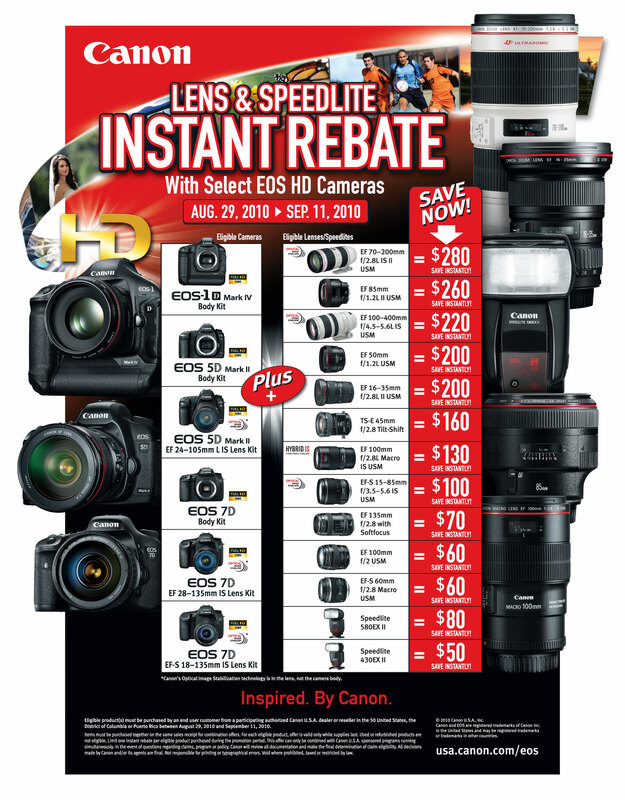 What you need to know is that Canon lens rebates have historically been notoriously difficult to get fulfilled. Prepare to do battle - and prepare to be very, very patient and persistent. As of the original authoring of this page, the last Canon lens rebate I participated in required me to send the complete information 3 times and took about four months until fulfillment. I followed the procedures to the letter - it could not have been more clear to the rebate fulfillment center. Still, I had to play the frustrating and time-consuming game. Follow the instructions to the smallest detail. Make sure you have good quality copies of everything you send (and maybe backup copies at another location) and expect to need them. Send your rebate with delivery confirmation (or tracking) to confirm that your rebate arrives. Then mark your calendar to remind yourself to watch for the rebate. If the Canon lens rebate does not arrive or you get the dreaded white post card, be persistent until you get the proper amount you are due! Please note: Everything here could change at any time. Canon could choose a reliable rebate fulfillment center - or stop making rebates available. It is hard to believe things could get any worse though. I received the dreaded white post card for a Canon 580EX Flash rebate. The card said that I did not submit a copy of the warranty card for the Winter 2004 rebate. I re-sent them a copy of the one I sent the first time and eventually received my check. My second (out of 4 total) Winter 2004 Canon Lens rebate rejected was - This was for a Canon EF 100-400mmL IS USM Lens - An expected $150 rebate on the line. I do not consider a 50% first time rebate approval rate acceptable. The good new is that a phone call to the Canon Rebate Center was promptly answered, and my rebate is supposedly on its way. My third (of four) Winter 2004 rebate checks arrived with the wrong value - the Canon rebate center did not triple the rebate for my Canon EF 50mm f/1.4 USM Lens. A phone call straightened the problem out, but that makes only 1 out of 4 rebates properly fulfilled. As the saga continues ... The Canon Rebate Center gave me credit for two of the same lenses (one subsequently was not tripled) instead of a much more valuable one for their Winter 2006 rebate trick. My rebate status showed a $115 shortfall. Another call to the Canon Rebate Center and another resubmission. 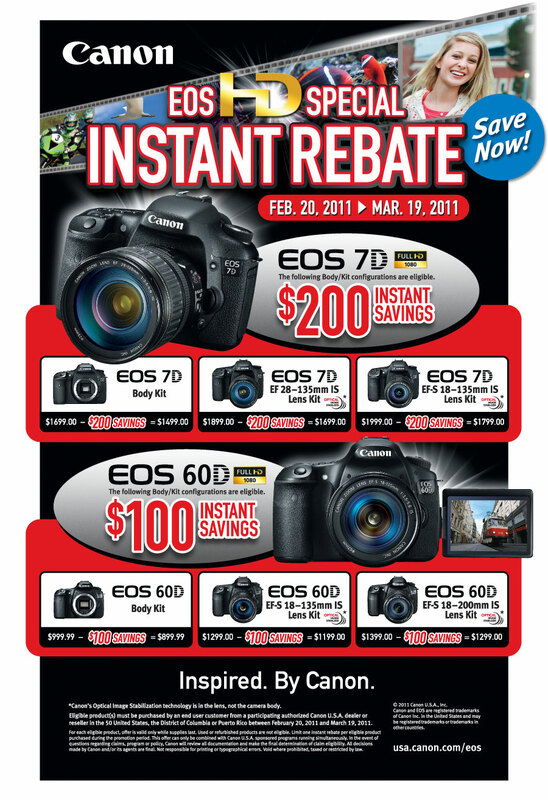 To check the status of your rebate, go to www.web-rebates.com/canon. If you experience any rebate problems, my recommendation is to call the Canon Customer Support Center at 1-800-828-4040 immediately. If the person you talk to does not completely satisfy your problem, ask to speak to a manager. The rebate submission information is scanned and available to these people. It is possible to reach a person with the authority to make everything right. 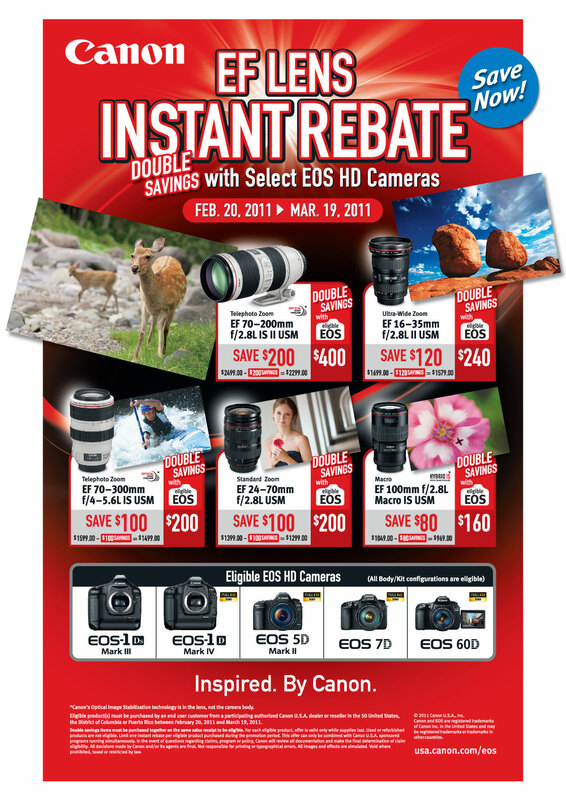 An additional method of reaching Canon's Rebate Center is via email at rebates@cits.canon.com. 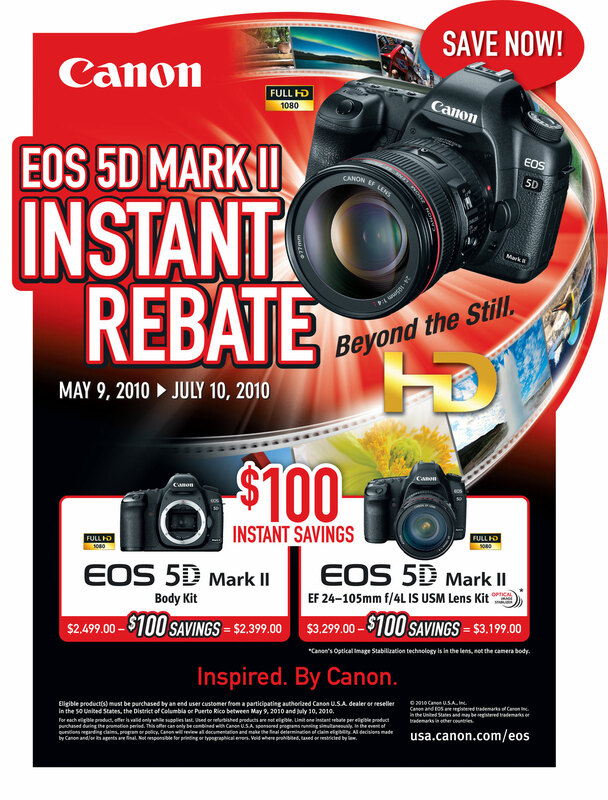 I use Canon's rebates, but they are usually a hassle.